Art-A-Fair artists spent the season painting the soon-to-be-named sea lion sculpture. 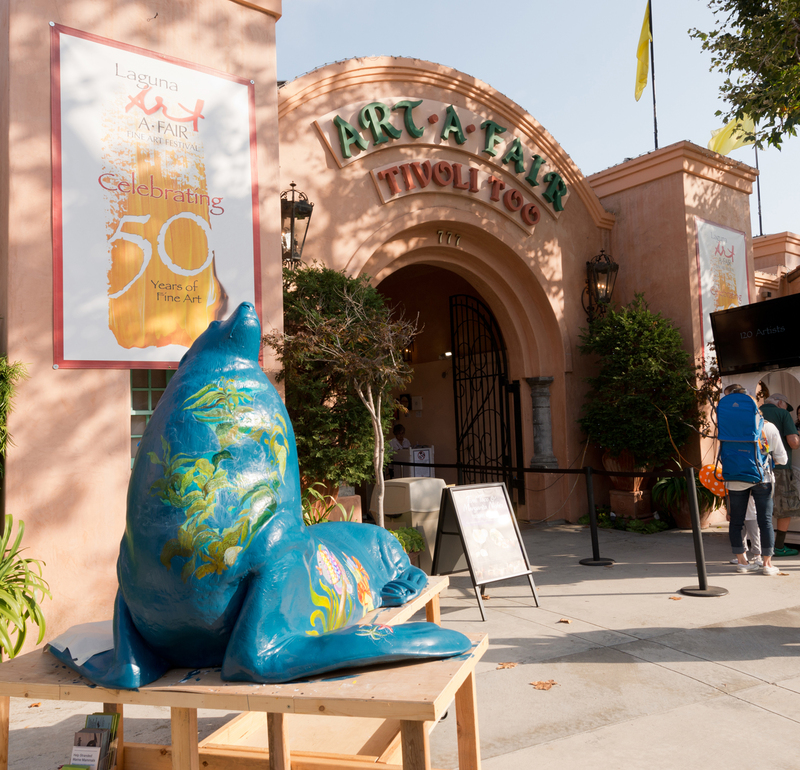 The big blue sea lion painted by Art-A-Fair artists will soon get a name and a new home. Guests are invited watch the commemorative parade makes its way up Laguna Canyon Road on Saturday, Aug. 20, at 12:30 p.m. to the Pacific Marine Mammal Center, where a dedication and ribbon cutting ceremony with the Laguna Beach Chamber of Commerce will take place at 1 p.m.
Laguna Art-A-Fair is hosting a call for names for the sea lion. To participate, and to learn more, please visit the Laguna Art-A-Fair Facebook page.